For anything to start a website, the keyword is the key to ultimate success. So finding relevant keywords to your niche will consume a lot of time to search and identify manually. So we brought a unique tool that will find the top relevant keywords for the main keyword that directly related to your niche website. Identifying basic keywords list will help you in short-term growth but relevance is the important factor to real success. The keyword lists which are obtained will be based on good traffic volume and bidding cost that brings conversion to your site, either way, SEO or PPC strategy. The tool will suggest you best and relevant keywords freely without account registration to conquer the top position in search engine results. How much Is Keyword suggestion tool important? As you may already know that keyword is the core of SEO and PPC campaigns. When you are optimizing your content, the keywords which are obtained can be used in different stages of your content with meta tags, subheadings, alt tags and much more area to be optimized for Seo to get better results. When it comes to PPC campaigns, the keywords suggestion tool will identify the topmost matching keywords related to your niche site which brings you best conversion rate in the online marketing industry. Our keyword tool is one of the best tool provided online because it helps to select the right keywords that fit into your niche website easier and faster with just one click of a button, you just need to provide a basic keyword then the tool will run in the background to give result oriented keyword list. You should need to know the keyword search is long and repeated process that every time you required to run and manage your campaigns. You may a question in the mind of how this tool works to find relevant keywords list. Here is the answer, as our tool builds with a unique search algorithm that extracts directly from the search engine list and gives you results. 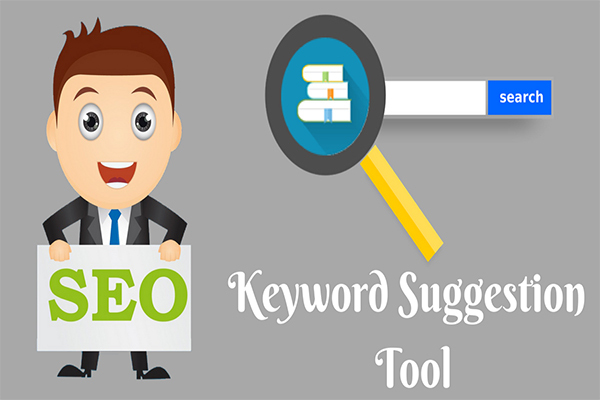 For example: try entering a keyword like “free seo tools” in text box and click submit button, you will see a set of relevant keywords list obtained like “free SEO tools 2016”,”free seo tools online”, “free seo tools for website analysis” and many more list of keywords. So this is the best way to implement on website blog to rank in the top of search engine rankings or Increase better ROI on PPC campaign strategy. 1) First, most thing beauty about this tool is relevancy, many keyword suggestion tools will grab unrelated keyword related to your niche and make you very upset. So the main focus of this tool is grabbing relevant keywords and display to the user. 2) Next thing the tool is very faster, on the click of the button with basic keyword brings the top search resulted in keywords in front of you within seconds. 3) The tool is completely free to use unlimited times without any restrictions. It does not cost in up-front so that you can use all the time whenever you needed the tool will be available. 4) It is alternative to google keyword planner and other keyword research tools to find relevant keywords list. 5) The tool is completely flexible and reliable 99.9% of the time. 6) The tool is ideal for business owners, content marketers, and individual freelancers who wish to find relevant niche keywords and increase online sales. 7) The tool does not only find relevant keywords and finds long tail keywords to help in search engine rankings. All it is done automatically to speed up relevant keywords list to be used. 1) Use Google trends and Google keyword planner to identify the growing keyword Trend and volume of the keyword accurately. 2) Use Bing keyword tool to get more keyword list for the PPC and SEO. 3) If you want to rank YouTube video, use YouTube keyword tool to get more suggestions for the keyword. 4) Use Google direct search for an exact match of Keyword while typing on the search box.